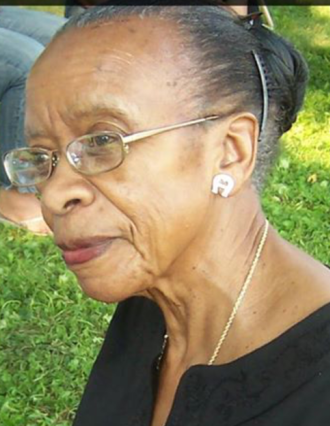 Thelma Virginia Gibbs was born on February 6, 1929 to York and Reather Garnett in Tappahanock, Virginia. She went home to be with Lord on April 7, 2019 at the Churchmans Village Nursing Home in Newark, Delaware. She received her early childhood education in the Cecil County Public School District. She then furthered her education and became a Domestic Engineer for over 10 years. In year 1952, she married the love of her life Roland Crawford Gibbs, Sr. and from this union Brenda, Roland, Terry, and Jennifer were born. Thelma was a member and fellowshipped with many churches such as Ebenezer AME Church in Chesapeake City, MD , Trinity UM Church in Middletown, DE and Friendship Baptist Church in Wilmington, DE. She was a stewardess for over 10 years and she sang on the choir, Voices of Faith, the Gospelettes, she even served on the Mother Board for 5 years, and a member of the Children of Lim. She enjoyed planting flowers, spending time with her daughter shopping and eating out. She loved to ride anywhere as long as she was with her daughter. Thelma loved Kentucky Fried Chicken. Thelma was preceded in death by her husband Roland C. Gibbs, Sr., her parents; 3 sisters Francis Fields, Bertina Garnett and Esther Garnett; 4 brothers Reuben Garnett, Sr., Benjamin Garnett, Eugene Garnett, and William Garnett, Jr.; 4 sisters-in-law Betty Garnett, Helen Garnett, Ann Garnett, and Barbara Hinson; 1 son-in-law Terence SidLaron Dickerson. She leaves to cherish her memories 4 children, Brenda Gibbs, Roland Crawford Gibbs, Jr., Terry McNeil(John), and Jennifer Dickerson; 4 grandchildren, Aysia Glostm(Mario), Justin McNeil, Jaleel Gibbs, and Roland O’Dell (Kayla); 1 step daughter Wilamina Archie; 4 great grandchildren London White, Kiev Smith, Canaan Smith, and Addison O’Dell; 1 sister Alyce Tiller, 1 brother Preston Garnett (Robyn) and a host of nieces, nephews , and cousins.